Raise Hand: If you're joining the meeting as an attendee, tap Raise Hand in the bottom-right section to indicate that you need something from the host. You can invite participants to the meeting if they are in the contact list for the room. Start or join a meeting from the Zoom Room Touch. Tap Controls at the bottom of the screen to display the integrated controller. Tap Invite. 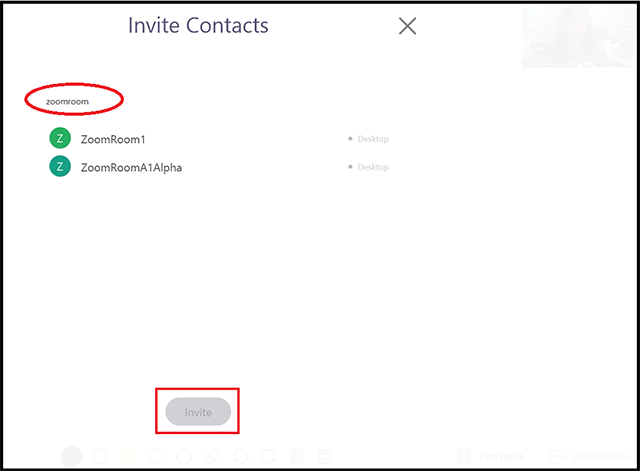 The Invite Contacts dialog displays. Begin typing the name of the person or room you want to invite. Tap the names of one or more contacts, then tap Invite. 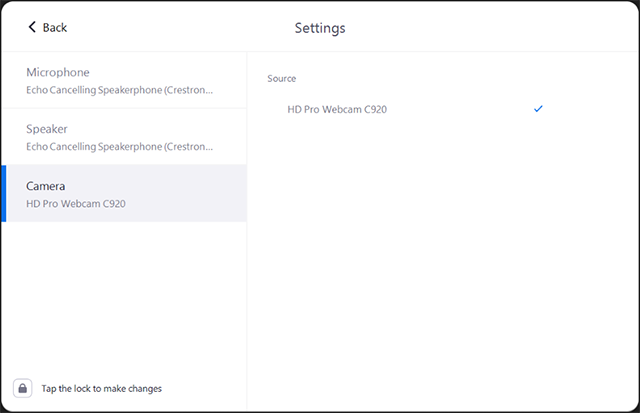 If the contact is online, their Zoom client pops up a notification that they have been invited to a meeting from the Zoom Room. Note that the room does not receive a notification if the contact was not available or declined the meeting. The room also does not receive notification that new participants have joined. You can see new participants as they join by displaying Gallery View. You can also see their names in the Participants list. 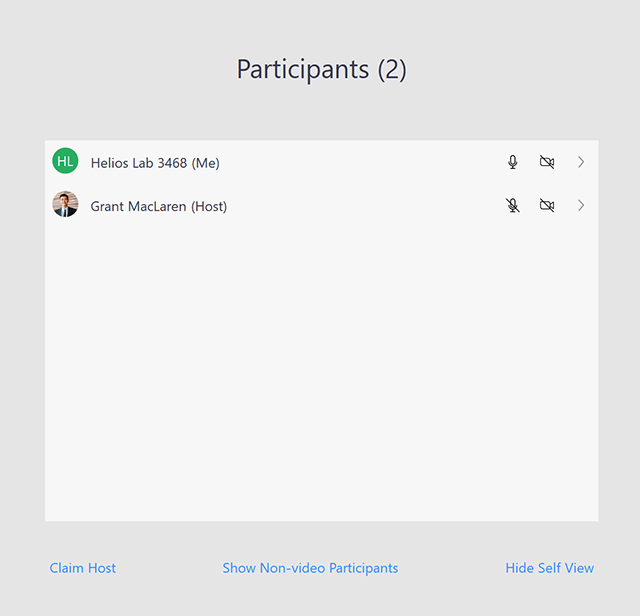 If you want to invite someone who is not on the contact list for the room, you cannot do this directly from the Zoom Room integrated controller, but can send them the Meeting ID from another device. 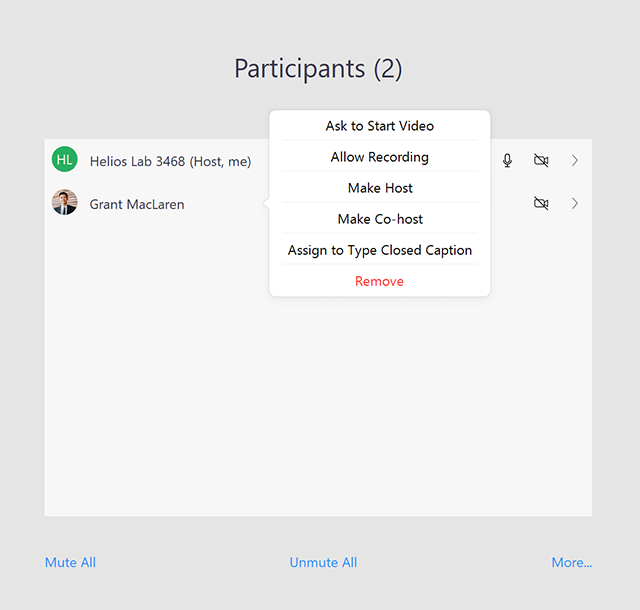 The Send Recording dialog displays. Enter an email address to send the recording link to. When you end the meeting, the recording is processed. The email recipients receive a link to the recording when it is ready. While in a meeting, tap Settings in the meeting controls to access these options. Note: You will be promoted to enter the room's passcode when changing each setting. If you want to change changes without having to enter the passcode each time, click the lock icon at the bottom-left corner then enter your passcode and tap OK.
Volume: Displays the microphone sensitivity. Source: Displays the microphone being used in the Zoom Room. Tap another source to change the microphone. Advanced: Enable Software Audio Processing if you want Zoom Rooms to manage microphone settings to optimize quality. 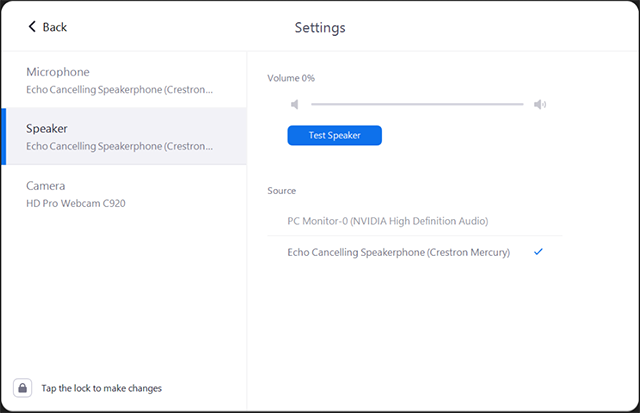 Volume: Displays the room's speaker volume. 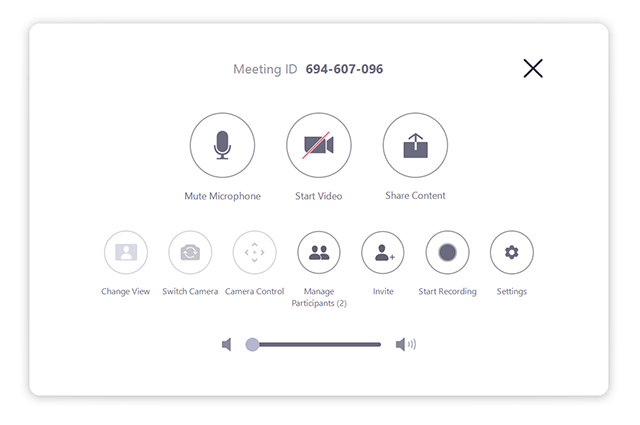 You can change this by using the volume slider on the meeting controls. Source: Displays the speaker being used in the Zoom Room. Tap another source to change the speaker. Source: Displays the camera being used in the Zoom Room. Tap another source to change the camera.